It is common to get the error “Whatsapp failed out of memory please try again later” when trying to send pictures on Whatsapp or when you are trying to change your Whatsapp profile picture. This is basically a memory problem. It’s not as a result of not having enough memory, this error can happen even when you have Gigabytes worth of memory on your smartphone and SD card. I have come across a lot of forums where this problem was discussed and people were wrongly advised to reset their phones and format their SD cards. This may quite solve your problem but you may end up losing a lot of other important data in the process. The truth is that you don’t have to reset your phone or format your SD card to solve the Whatsapp failed out of memory please try again later error. I will advise you on several methods you could use to solve the Whatsapp failed out of memory please try again later error without having to reset your smartphone or format your SD card. Sometimes the Whatsapp failed out of memory please try again later error occurs as a result of your phone not being able to synchronize data with the SD card. When your phone has been on for a long while, there is a possibility some processes may have become idle or even dead, some other programs may have taken over the memory space for such idle or dead processes making it difficult for them to pick up memory when you try to use their applications. So restarting your phone will simply refresh all the running processes on your device, kill those you don’t need on startup and free memory for any application you want to run. So the first method to solving the Whatsapp failed out of memory please try again later error is to restart your phone. Must Read: Cannot install Whatsapp on Blackberry Z10? Since the Whatsapp program folder is usually in the SD card (path: /mnt/sdcard), it will be wise to unmount the SD card, waiting for some few seconds or minutes and reinserting it into the device. That way you would’ve stopped all the processes that depends on the SD card such as the Whatsapp giving you the error. When you mount the SD card again, the processes will be refreshed and memory will become available again for your apps such as the Whatsapp and you can be able to send images or change display images without encountering the “Whatsapp failed out of memory please try again later error”. Do you know there is an app you can use to monitor your spouse’s, lovers, kids, or even co-workers activities on Whatsapp even without touching their phones? StealthGenie is a mobile spy app that can be used to spy and monitor on all Whatsapp activities of any target phone. This app can be used to find out the names of people your target phone has been chatting with, you can also use StealthGenie to get the time stamps to know when each chat took place. Furthermore, you can also spy on the photos, videos or audio files shared by your target phone even without touching the phone. If you are looking to spy on anyone’s Whatsapp activities then this app is just all you need. They won’t even know its in their phones. Buy Whatsapp Spy app Now! Another way to avoid the Whatsapp failed out of memory please try again later error is to reduce the picture resolution. Most smartphones these days come with very high picture resolutions which make the pictures very clear and nice when taken but it also make the picture sizes quite high. A 5MP camera with a 1952 x 2592 resolution can take pictures of almost 1MB each. Reducing the image resolution will reduce the image quality and size as well. You can reduce the camera resolution by going to your camera settings under resolutions and change it to a lower resolution. As you send and receive images on Whatsapp, and even when you view your friend’s profile pictures, they are automatically stored on your Whatsapp media and profile pictures folders. Use a file explorer such as ES File Explorer to navigate to /mnt/sdcard/Whatsapp/Media/Whatsapp Images and delete the images in that folder. You should also do same for the Whatsapp video, Whatsapp Voice Notes, Whatsapp Audio folders. Clearing these folders will free up memory for your Whatsapp app to run smoothly without Whatsapp failed out of memory please try again later errors. I hope I have been able to give you a working solution to solving the Whatsapp failed out of memory please try again later error. If one method does not work for you try the other, one will most definitely work for you. If you have tried all the methods here and no one worked for you please don’t hesitate to ask me any questions using the comment form below. Remember to also leave a comment on the method that worked for you for others to try. Update 1: If the options above does not fix the “Whatsapp failed, out of memory please try again later” error for you, then download and install “Clean Master” from Play Store and clear your device RAM. This will simply free up and app hogging your device RAM and causing Whatsapp to fail while trying to send images. Updates 2: A simple trick to send photos on Whatsapp even when it shows “Whatsapp failed out of memory please try again later” error. 6. Confirm share and the photo is sent. This trick worked for me several times when i was having the Whatsapp failed out of memory please try again error. Try it and let me know if it works for you too. Thanks to SkS_SkS for bringing it to my notice. 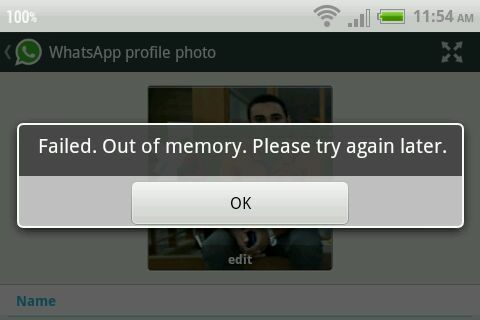 Did this article help you solve the “Whatsapp failed Out of memory please try again later” error? Then take some time to visit other pages of my blog. Have you subscribed to my blog? Would you love to get useful and resourceful articles like this right on your inbox? Please use the subscription form below or by the sidebar to subscribe to Netmediablog today. I had this issue with my Whatsapp but later discovered that the internal memory of my phone was low and I had to delete some of the saved Whatsapp photos and the problem was solved. I believe the solutions you highlighted here would solve any Whatsapp related issues. Thanks Maxwell for your wonderful contribution. Wonderful tutorial and tips for resolving the whats app issues and I think it’s gonna surely work. Thanks a lot. it really did work! I have tried all four methods. Unfortunately, the same problem arises. Could this be a temporary issue? As in if I just leave it a couple of hours after I have cleared my Whatsapp folder(s), would it go back to normal? Yes it could go back to normal especially after restarting the phone. I unfortunately, after trying all of the above steps and restarting the phone quite a few times in the past one day, was unable to sort the problem out. Any suggestion is well appreciated. Try accessing your memory card and deleting some of the pics or videos or even voice notes stored on the Whatsapp folder. Glad it worked for you. Keep visiting Netmediablog. I’ve tried all the steps but the problem still is there. Simply restart your phone and delete some media files from the Whatsapp folder. What model of phone do you use? This error is not really about the memory space left on your device, even with Gigabutes of free space you can still experience this error. I had the same problem and done all methods but now result same msg showing again plz tell me..
i think, this so call ” failed, out of memory ” its refer to the picture resolution. Cause, i had shot alots of nice photo with high resolution, and end up i cant post it. anyway, thanks alots for your solution provided and seems its work to me. Move all your media files from the Whatsapp folder to other folders. Every app has a certain memory space allocated to it, and when you have used up the cache memory, this type of error is bound to come up. So i will recommend you move the media files in your Whatsapp folder away to other folders and make space for new ones to be stored. Please check my advise for others above. My wife’s Galaxy S2 has also had this problem which came from nowhere yesterday. I’ve tried all the above steps and nothing has worked. She had 189 photos in her WhatsApp folder which I backed up to PC. completely uninstalled app, then re-installed. Still won’t work. It seems there is some glitch when trying to send files from the Gallery. Some pictures it will send, some it won’t regardless of size. It sent some that were 3MB but then wouldn’t send ones that were 2MB? Yet if you select the Camera icon, take a picture and sent that it goes through everytime…? Seems this is unique to Galaxy X2. Another option could be to clear the device RAM, so i will recommend you try Clean Master app from Play Store. If the error persists, just quit using it, its not a must have. It is definitely not a memory problem and moving or deleting media files from the Whatsapp folder and restarting the device can fix the “Whatsapp failed out of memory please try again” error. Thanks for your contribution. I tried method 1 (restarting) and 4 (moving pictures from Whatsapp folder) and #4 worked! I have a Samsung Galaxy Exhibit Model SGH T599N, with Android version 4.1.2. last July 15th in the afternoon Google Play automatically updated Whatsapp and after this update I was unable to send photos to nobody in chats. Google Play downloaded the 2.11.301 version, but in the http://www.whatsapp.com/android I downloaded the 2.11.311 and I still have the same problem. Unfortunately my phone doesn’t have much internal memory to storage the photos. :( Do you know what can I do? Is ti a problem from the Whatsapp version? I also have this problem with my WhatsApp and also use Galaxy S2. I have used the app for nearly 2 years (nearly due an update to a new phone!) and have never had this problem till last week. I have nearly a GB of free storage on the system (so half free) and also 4GB free on USB storage, I don’t use an SD card in my phone. I have tried to reboot my phone, I have backed up and deleted my entire WhatsApp history and files (over 400 images and 1500 messages), uninstalled and re installed WhatsApp from the play store, I run App Cache Cleaner and Clean Master regularly. Every time I do one of these things it lets me send 1 image, but then the errors start again. All this started after I have to force stop WhatsApp from updating last week. It had started an update on 3G (even though I have all the selections ticked to only allow apps to update on WiFi) and 24 hours later was still downloading and installing stuff, so I force stopped it. Now it’s not working at all. No one seems to be able to suggest anything to fix it, even the people at WhatsApp. Any other ideas? When you view or send photo on Whatsapp, a copy is saved on your device and clearing Whatsapp cache from time may help you free up space on your device. I bet you have tried all the tips above and this problem seems peculiar to Samsung Galaxy S2, i hope the people at Samsung and Whatsapp can look into it and see how they can solve this problem. You can try Remo MORE to automatically clear your Whatsapp cache daily and free up memory space for you. I have a samsung galaxy precedent and had the same issue. I downloaded an older version and now it works. I have whatsapp version 2.11.238 on 5.05.14 for android. And my phone is rooted. If you are using an external SD card for storing the photos from your handphone camera, this MAY help you. 1. Copy all your data folders and files from your external SD to a computer as backup. 2. Unmount the SD card. 3. Erase all the contents inside the SD card using your handphone’s android OS. Do not take out the SD card to format or erase files by computer. 4. Mount the SD card. The handphone’s android OS will show it is checking the card. 5. Go to your handphone’s camera and set the photo storage location to the SD card. 6. Take a few photos. 7. Use your whatsapp to send them out for testing. I am using a HTC Desire 600 with Androit 4.1.2. I faced the ‘out of memory’ problem when sending photos from Whatsapp and using the above steps was able to solve the problem. I hope it works for you too. Thank you Dayton Ho for such an amazing contribution. I hope this can help those that couldn’t find solution to the “Whatsapp failed out of memory please try again later” error from the tips i shared above. Hi, I too am facing the “Whatsapp failed out of memory please try again later” issues since the last 3 days. I tried the above mentioned solutions, but none of them gives a permanent solution. I’m using a Galaxy S2. I’m forced to believe that the ones without solutions are the ones using Galaxy S2 and more specific to that model. I also think that Whatsapp may have to provide some update to fix this issue. I have samsung galaxy s2. when this error irritates me. I had reset my phone..re- installed whatsapp. but I found the problem exists. I cant sent photos to others. also tried these tips. but I think this is because of a major update of whatsapp version. I tried earlier versions and it works perfectly. . I was getting desperate but then I found this article and reducing picture resolutions worked for me. Thank you so much! Yup. I have tried to change resolution to lowest one and it worked for me. Thanks for the tips. I have tried these methods but its still showing the same error. I have Sony Ericsson Neo V.
It could be greatly resolved by going OTHER WAY ROUND. Go to your Gallery->select the Picture you would like to share-> Tap on the WhatsApp Icon on top-> choose the name of the person-> confirm “Share with XYZ? -> OK.
And then you have done it! This is yet another trick that works. I have personally tried it severally and it worked always. I am using Samsung Galaxy Tab 2 GT-P3100 handset as of now and I am getting the same error from today afternoon. I restarted my phone 5-6 times and deleted couple of pictures and media files from the whatsapp folder, but the error exists. Could you please help me sir ? Have you tried all the methods on this article? Check out the update 2 i just added. I have a galaxy s3, i have tried all the above and nothing! The whatsapp storage folder is in my phone, which has pleenntty of space and still nothing. To solve the problem of not having enough memory, I uninstalled it, then went to the Whatsapp site and downloaded from there a previous version (I think Dec 2013), allowing my phone to install from unknown sources. It installed OK but refused to run because it detected it was an obsolete version but gave me the option to install the latest version, which I did. I works great now. Apparently the program available from Google’s Play Store has some bugs, at least in some phones. Mine is a HTC Explorer. Ive tried the above methods, still facing the problem. And its been days now trying to search for a solution on the net. Tried sending requests to whatsapp to help with solution but they have the same above methods and at the end they just say format ur memory card and it should work. Also read the above comments most of them still couldnt find a solution.. im using galaxy note. Not sure what or when can this be fixed..
Well friends, I have got to know one more solution to it for android phones…that worked for me..! >Uncheck the “sync photos” option. >Check the “sync photos” option. >And get started with your Watsapp with no more problems..!! Just lower the resolution of images in camera settings, it will surely work. I was using htc desire and had used all the steps mentioned above. But finally lowered the resolution of camera images which my camera was capturing, and it worked in just one go. Unable to solve the issue after using all four method mentioned. Fortunately got whatsapp update and problem was resolved. Tried all 4 methods unfortunately it did not work for me, But share pic form Gallery is working. Hi.. Am using sony xperia neo..
in whats app am not able to send any pics.. I tried all ur methods.. i still face the same problem.. pl help me out..
im doing all communication with this oly.. Thanks boss. As per your guidance i have restarted my mobile the problem get to resolved. The first 4 steps did not work. However, using share to whatsapp did the trick. Thanks. I have also tried all the solutions proposed in the post and in the comments. None of them worked for me. I’m with Galaxy S2 as well. My storage doesn’t have SD card, just USB storage and internal memory. Lowering the resolution might work, but it’s not a ‘solution’ to the problem that I can’t send a photo I took. I uninstalled my version (don’t know which version it was) and installed version 2.11.328. Now it seems to be working fine! I lost a lot of time in this!! I had this error “Whatsapp failed out of memory please try again later” from past two days & i tired every option mentioned above, but without any result. After a huge struggling, i understood there may be some issues with the whatsup server which is not able to handle the huge nos. of account which are kept on adding day by day. Initially it was very fast & with good response. How a days it is too slow & also has some connectivity issue. 1. Your photos or images should be a Low resolution one with low quality & also with a smaller size. 2. After the selection of the image or the photos, go to crop option & keep only the required region. With the above option it worked for me, Hope it works for you as well. It works for me….thanks a lot. I was about to use the traditional solutiy (deleting the app and reinstall ing it again), but I came across this article. The second methy worked for my Samsung galaxy S dous2. Hi , using samsung galaxy tab2, I tried oll of the methods given, but problem is still persisting. It didn’t worked for me too. I am having Samsung duos cell, since 1 week I am getting issue ” Failed out of memory”, I have tried with all above techniques, Even I finally went to go with the factory restore. If will do factory restore all the internal memory will flush correct? Although I am getting same error ” Failed out of Memory “.. Even I tried to remove memory card and take pics, while sending same error. One Interesting thing I observed, some time I can able to send 1 PIC after that its not allowing.. again next day It allowing only 1 PIC. I am able to get all pics, videos and Audios, This issue is with sending only.!! I request to you, Please help me on this same. Even I formatted memory card and re insert although got same error.. I am worried Its with device issue or with Whatsup , One more thing I have tried with Hike messenger in that Its allowing all the pics sending. Whatsapp failed out of memory please try again is not a Whatsapp or device issue, it simply has to do with Android and this error seems to be unique to Samsung mostly after a certain update. 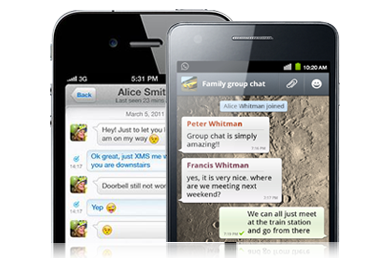 Have you tried to downgrade to a lower version of Whatsapp to see if it works? Thanks for Your helpful tips… for resolving the problem in sending the pics by whatsapp..
Glad it helped you. Thanks for leaving a comment. Visit again. Sir, Thanks for your valuable time. I Request to you Can you please tell me How can i download downgrade to a lower version of Whatsapp Version. Because I don’t think so through playstore I can do.. because while i am going through it, Its always picking latest .! Simply backup your Whatsapp folder and database before uninstalling the newer version, then Google the old version and reinstall. Then restore from your back. This was really helpful, it works fine again. Thank you very much! Thanks a Lot, It was working in my handset now.!! I am able to send photos. Yes you can now move your whatsapp media to sd card using the app whatsappfilemover .Enjoy!!!!!! my is saying out of memory error.pls i can’t fix it.pls give any suggestion anyone.